Community Gardening for Idiots-back home: Don't you love a working bee? Don't you love a working bee? The chickens are murmuring as Ms Tagalong and Mr Ideasman pass the gate. Hang on, they are supposed to be inside the coop, not roosting on the water barrel or squeezed between the chair and the railway sleepers. The two latest additions to the coop, our beautiful black (Australorp?) and another Isa Brown had been kicked out by the others and had sought refuge by flying over the fence into the garden. Purring gently they are encouraged back into the coop. It was the end to a very hot, sweaty and busy day in the garden. Mr Ideasman had raised the roof literally on the water tanks. Something to do with the drop/fall. Ms Tagalong who had lent a little muscle to the operation nodded sagely. The weeds were everywhere, mostly grass, probably from immature horse manure and the rampant sweet potato covered every walkway, let alone every bed! Many piles later and a few beds revealed self-seeded lettuce, rocket and mustard. Great, good to get a head start on winter crops. 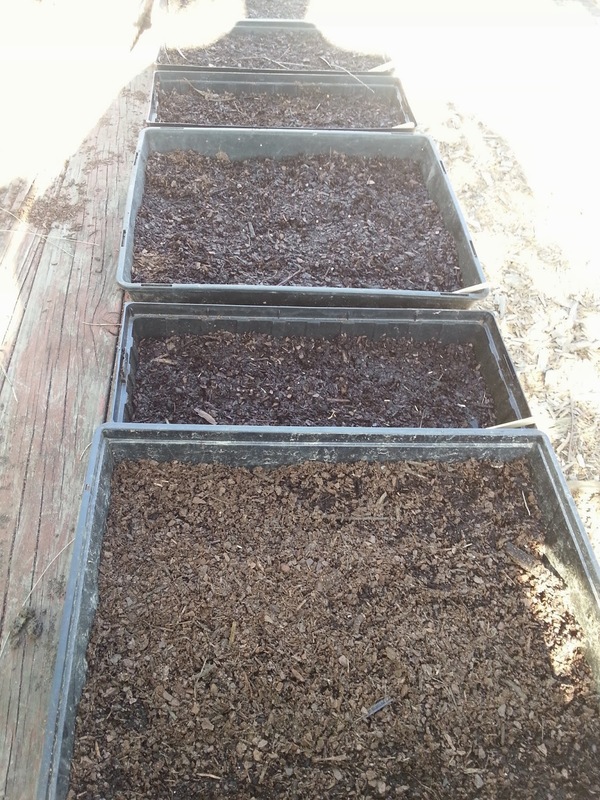 Each working bee participant got to take home some seed trays to nurture and bring back to the next session. 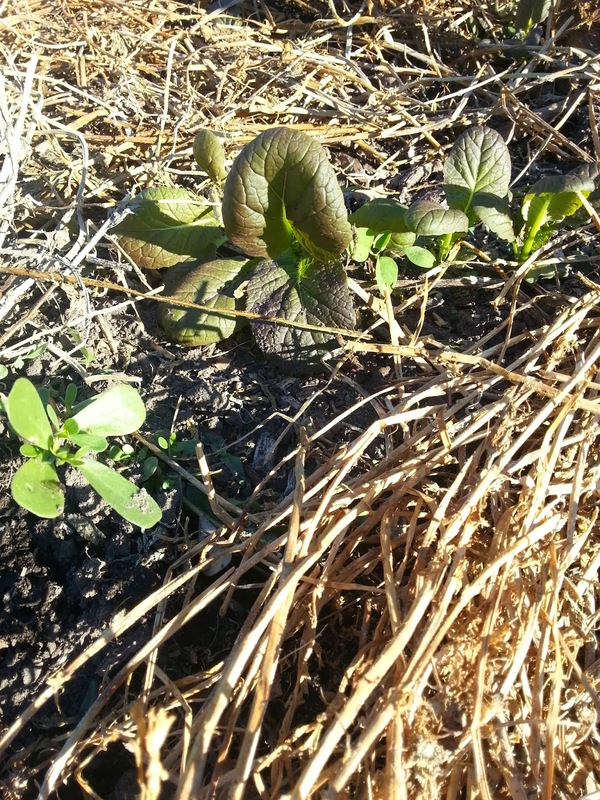 Spinach, endive, celery, dill, mustard lettuce, pak choy – can’t wait!